Love alfresco entertaining? Tices take it up a notch. 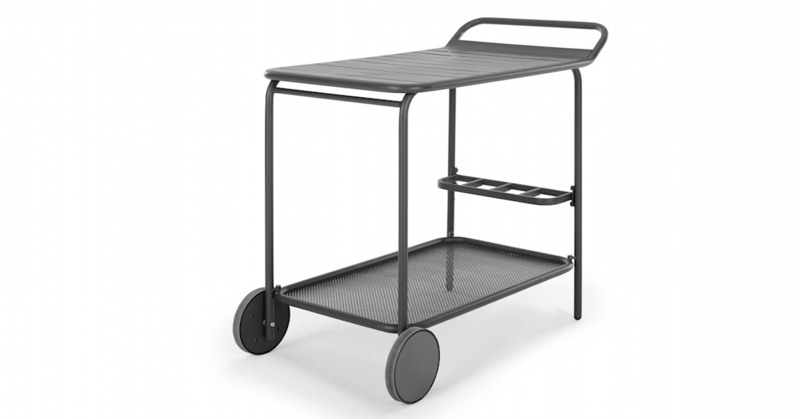 This trolley has two shelves: the top perfect for serving cocktails while the bottom shelf can store your ice, barware and tipple of choice. Tice has a soft-looking shape and bold colour options. Go for grey to keep in tone, or on-trend chartreuse for a vivid look. The powder coated finish matches with the rest of the Tice range, perfectly.